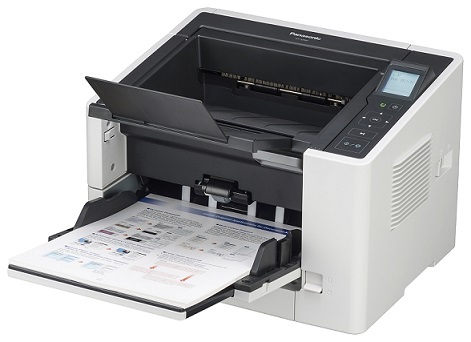 Three Panasonic Scanners Receive Environmental Distinction with EPEAT® Bronze Certified Rating | Industry Analysts, Inc.
NEWARK, N.J. — March 11, 2019 – Panasonic System Solutions Company of North America,Division of Panasonic Corporation of North America and an industry-leading producer of high quality document management and imaging solutions, today announced that its KV-S2087, KV-S8127 and KV-S8147 scanners are now registered EPEAT® Bronze, meeting a list of more than 30 mandatory environmental performance criteria. This distinction follows Panasonic’sannouncement that its KV-S1027C and KV-S1057C received the EPEAT Bronze certification last year, underscoring the company’s commitment to manufacturing sustainable solutions and differentiating them from others on the market. “EPEAT is proud to be a part of Panasonic’s mission to produce economically and environmentally sustainable scanners for use across industries. The KV-S2087, KV-S8127 and KV-S8147 products are only the most recent generation of Panasonic scanners to receive the certification, further solidifying the brand’s commitment to the environment and its customers,” said Nancy Gillis, CEO, Green Electronics Council. “Businesses in both the public and private sector choose devices based on their environmental sustainability and look to EPEAT for this insight. By achieving EPEAT Bronze, Panasonic has made these latest products more desirable for industry decision-makers. For more information about EPEAT registered Panasonic solutions, please visit:https://na.panasonic.com/us/epeat. EPEAT is the flagship program of the Green Electronics Council (GEC), whose mission is to achieve a world in which only sustainable IT products are designed, manufactured, and purchased. EPEAT is a comprehensive global ecolabel for IT products. The EPEAT program provides independent verification of manufacturers’ claims and the EPEAT Registry lists sustainable products from a broad range of manufacturers. Designed to help institutional purchasers, EPEAT is used bythousands of private and public institutional purchasers around the world as part of their sustainable procurement activities. This entry was posted in Panasonic and tagged environmental, EPEAT, panasonic, scanners by IA Staff. Bookmark the permalink. ← Previous Previous post: What Dealers Are Saying About LD Products – Copiers NW!